We are thrilled that you have chosen South Family Dental Care for your family dental needs — we welcome all new dental patients – no referral is required! South Family Dental Care is a general and family dentistry practice located at the corners of 52nd Street and McKenzie Towne Link SE in Calgary, Alberta. Our dental office is easily accessible, with plenty of free parking and convenient hours including extended evening and weekend appointments. Alberta Dental Association and College Fee Guide released in 2019“. South Family Dental Care is accepting new dental patients without the need for a referral, and we look forward to the privilege of being your South Calgary Dental Health provider. Our team is dedicated to providing you and your entire family with quality dental care. If you are a new patient, please download and complete our new patient package to help facilitate your intake. 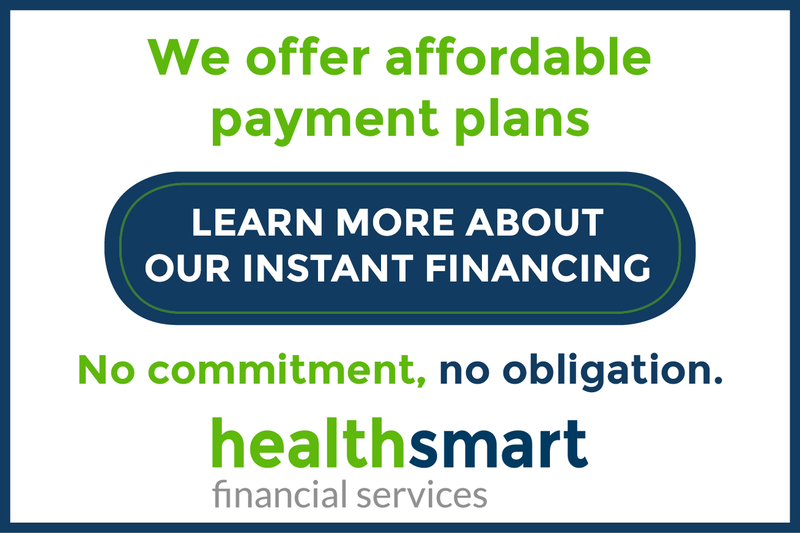 Should you have any questions, please contact us at (403) 262-3235 and our administration team will be happy to assist you. If you have x-rays’ from a previous dentist, you can have them released to our office. We will ask you to sign a release form in order for us to obtain them under the Health Information Act of Alberta. 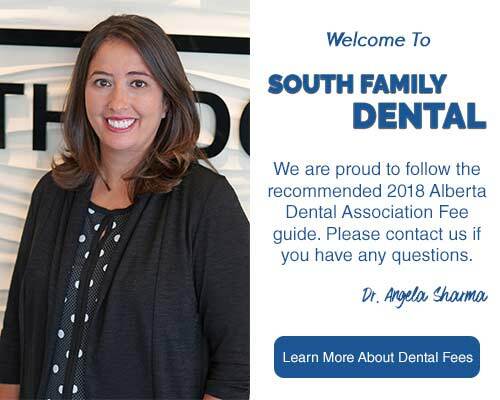 To ensure that your first visit at South Family Dental Care is pleasant and as comfortable as possible, we take the time to create a welcoming environment right from the time you walk into our office and are greeted with a smile by our administrative team, to the time you enter our treatment rooms for your visit with Dr. Angela Sharma and her dental team. Regular dental examinations are very important, for every member of your family! New dental patients receive a thorough examination by your South Family Dentist to screen you for the early signs of gum disease, eroded fillings, tooth decay, oral cancer screening, and to identify problems with your occlusion [bite]. We collect detailed information about your health and dental history in order to determine if there are any risks for treatment. Lastly, please bring a list of all prescription and non-prescription medications that you are taking. If you would like to learn more about becoming one of our new dental patients at South Family Dental Care, please contact us using our online form or call the office by telephone at (403) 262-3235 for more information.